Whether you have sold your home and are not quite ready to move to a new place or you have downsized and need some extra storage, storage service in Denver can come in really handy for a variety of scenarios homeowners and renters may find themselves in. When it comes to renting a storage unit, however, there about as many options available as there are people who need it. Choosing the right storage service for your needs can be tricky, especially if you’ve never needed storage before. We’ve put together a guide to finding the right storage for your needs the first time. When you are getting ready to move, you want to have movers that you can trust. While people are often more familiar with national moving companies, however, there are pros and cons to working with such large corporations. The same could be said for local moving and storage companies, but in many cases the pros far outweigh the cons. Let’s talk about some of the benefits that you can experience by working with local moving and storage companies over the national competitors. Every time you move, it seems you find yourself back at the store trying to remember everything you need to make your move go smoothly. Without fail, there is always something that gets forgotten, bringing the packing process to a complete halt. 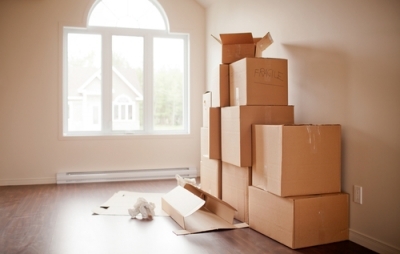 One of the toughest moving supplies to get is the right amount of moving boxes for all of your belongings. Not only is it tedious to have to keep going back to the store, hoping they have enough boxes that are the right size, but it is also expensive. We've given you a few go-to spots to find free moving boxes in Denver before, but we're back with even more places to find free boxes that would go to waste otherwise. If you are getting ready to move, you know there are a lot of moving parts that go into the preparation and execution. From giving notice at your current residence to packing up all of your belongings to ensuring that the electricity is turned on at the new place, moving is a hassle, there’s no denying it. If a move is one hassle too many for your to-do list, you may be considering hiring help to make things happen a little smoother. If this sounds like you, a moving company that offers packing services may be the ideal option for you. Like anything, there are pros and cons to packing services in Denver, CO. Let’s talk about the benefits of hiring someone to pack your belongings and the benefits of doing it all yourself. Moving can be a time-consuming, expensive, pain in the you-know-what. Preparing for a move takes careful planning, whether you are moving down the block or across the country. The process of safely packing all of your belongings and ensuring everything gets from point A to point B without being damaged is stressful. Full service moving companies in Denver offer a way for you to move successfully without the added stress and strain of moving on your own. Let's talk about six of the key reasons you want to hire full service movers for your next move.